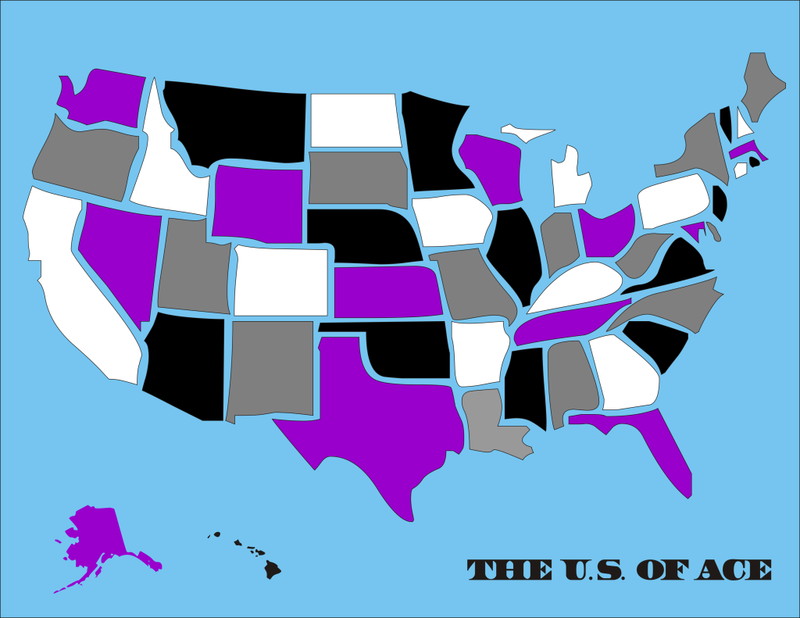 This entry was posted in Ace Images and tagged ace price, asexual, asexuality, cartography, united states, usa by asexualityarchive. Bookmark the permalink. Just wondering how many people celebrate their Aceversaries? What do I mean? The day that you actually figured out you were Asexual, I call it my Aceversary. Today is my Aceversary. I’m one year old today! I never thought about that… I can make myself an Ace flag frosted cake and everything! Maybe get my Mom, sis, and bro in on it too… I mean, who would turn down cake?